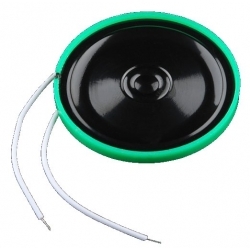 Thin Speaker for your electronics project. If you want to get some sound out of your project but have a tight space budget, this Thin Speaker from Sparkfun is a good way to do it. 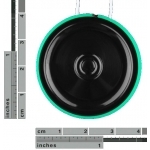 This 0.25W, 8Ohm speaker is only 40mm in diameter and just over 4mm thick. This speaker is the same kind you might find in one of those "talking greeting cards".